There’s still room on the bandwagon. Next to all the Lombardi Trophies. Look how terrible that towel is! Aug. 31, 2017, 10:36 a.m.
Hello, good people of Pittsburgh! Thanks for clicking this link! Now, believe it or not, just as everyone in 2017 Pittsburgh does not work in a steel mill, there are also some people in the city who are not sports fans. Strange, yet true. Many people in 2017 Pittsburgh who are not fans still jumped aboard the Penguins bandwagon the last two seasons on the way to their back-to-back Stanley Cup championships. But did you know the Penguins are not Pittsburgh’s only professional sports team? There’s another one, too. No, not the Pirates baseball team you may have heard a little about. I said professional. I’m speaking of the Pittsburgh Steelers, a pro football team! They have aspirations to be like the Penguins this year and win a championship. With that in mind, here is The Incline’s Official Steelers Guide For The New Fan, chock full of everything you need to know about the team to jump aboard that bandwagon with confidence. The regular season starts a week from Sunday, so get reading. The Steelers have some new players. Last season the Steelers also had championship aspirations, but were humiliated by the New England Patriots in the conference championship game. 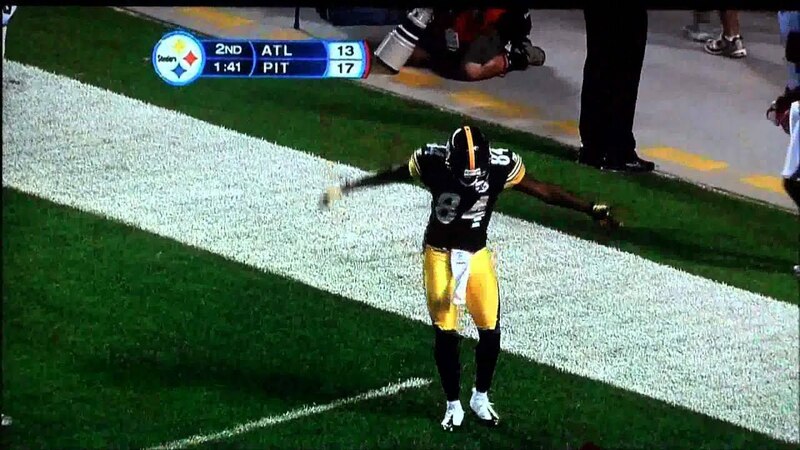 (If you’re new to being a Steelers fan, know that getting humiliated by the Patriots in conference championship games is a recurring theme.) So with an eye toward improving this year, the Steelers acquired several new players. The latest new Steelers player is cornerback Joe Haden, signed on Wednesday to a 3-year, $27 million contract. The defensive back position has been a problem for the Steelers for years — and one Patriots quarterback Tom Brady routinely exploits. Haden, only a few years removed from back-to-back Pro Bowl seasons, could be a significant upgrade. On the other hand, he was just released by the Browns — the worst franchise in professional sports — so the 2017 version of Joe Haden may be terrible. I guess we’ll find out soon. But let’s hope it’s the former. Fingers crossed! The Steelers also acquired a new pass-catching tight end this week in Vance McDonald. Other new names to know for the Steelers this year are draft picks T.J. Watt, Juju Smith-Schuster, and James Conner. Conner is a Pitt product and general all-around hero. Chances are, you already own his jersey. Ben Roethlisberger — The quarterback is entering his 14th NFL season and is hinting that it could be his last. He is either the most underrated quarterback in NFL history or the most overrated quarterback in NFL history, depending on the week and if the Steelers win. Tune in to Pittsburgh sports radio after each game to find out which it is. Le’Veon Bell — Bell, pictured winkyface’d above, is probably the best running back in football. He can run the ball, he can catch passes, he can do everything … including get hurt and suspended and hold out of training camp. Not once in Bell’s four seasons has he played an entire 16-game schedule and appeared in a playoff game. Pittsburgh’s playoff hopes will hinge on having Bell in the lineup and healthy. Antonio Brown — Brown is possibly the best wide receiver in football. He is definitely the best dancer in football. Post-touchdown dancing — tasteful dancing, as determined by middle aged men wearing referee costumes, that is — is allowed this year in the NFL. So expect to see a lot of this. James Harrison — Harrison is a 39-year old linebacker who still makes an impact on the field. You should follow him on Instagram to feel bad about your level of physical fitness. Being a sports fan is not just about rooting for something, it’s also about being consumed by hatred toward people you don’t even know. Sometimes it’s the most fun thing about being a fan! Hooray! In order to be a proper Steelers fan, you will need to start hating three teams: the New England Patriots, the Baltimore Ravens and the Cleveland Browns. The style of hatred for these teams are all very different, however. New England — The Patriots hatred is fueled by jealously and/or disgust over how that organization has cheated for years. Some Steelers fans will say their Patriots hatred is only because of the latter reason — an ethically based hate — and not jealousy about how good New England is year after year. These Steelers fans are lying. Baltimore — The Ravens hatred is due to the fact that Baltimore is a division rival. Oh, I almost forgot: and also that the Ravens are a truly loathsome organization that has championed despicable humans dating all the way back to when the city stole its team from Cleveland two decades ago. Other than that, though, the Ravens are fine. Good, even. Cleveland — The Browns hatred is one of history. Cleveland and Pittsburgh were big football rivals in olden times, and so we must continue to hate Cleveland today out of respect for our grandparents. But it’s hard to truly hate a team that hands you two easy wins every year and is never a threat to win the division. Tomlin is 103-57 in his career and 8-6 in the postseason. It’s hard to complain too much about that and, when people do, it shows how much Steelers fans have been (hashtag) blessed. The team’s ownership is the Rooney Family and has been forever. In fact, if you walk by Heinz Field along the Allegheny River, family patriarch Art Rooney will offer your child a cigar. Friendly! The Rooneys are about as beloved in Pittsburgh as wealthy, corporate heads can be in 2017. And as NFL owners go, they’re pretty much angels walking amongst us … in that they don’t openly go out of their way to be awful in every way. Get ready for some offense. Show of hands: Who is going to see 150-plus targets this season? Perhaps you have heard a local gray hair say the phrase “defense wins championships.” That was the case in the 1970s when the Steelers won four Super Bowls behind a vaunted defense. That may have even been the case in 2005 and 2008 when the Steelers won with very good Ds. But today? In new-en times? The Steelers are all about offense. While traditional Steelers football was a pounding running attack and fearsome defense, the Steelers of today throw the ball all over the place and their defense only strikes fear into the hearts of their own fans. That said, it would be nice if the Steelers defense showed improvement this year — isn’t that supposed to be Mike Tomlin’s specialty??? He’s TERRIBLE! — because it will be tough to beat the Patriots 65-60 in the AFC title game. Also, the Renegade video loses some intensity when the defensive highlights are just holding other teams to field goals. If you are going to become a Steelers fan, you’re going to want to go to a home game at Heinz Field. The best way to experience the atmosphere is to attend a pregame tailgate in the surrounding parking lots. It’s a great opportunity to learn more about the team via the drunken/mostly wrong opinions of Steelers fans. Expect to pay in the neighborhood of $100 for an upper deck seat on the secondary markets — and sometimes much higher — while a lower-level seat will normally run well into three figures. Yes, it’s expensive. And that’s before you even invest in Steelers apparel. If you look at pictures of Steelers games from the ’70s, everyone wore whatever coat or sweater they had at home. 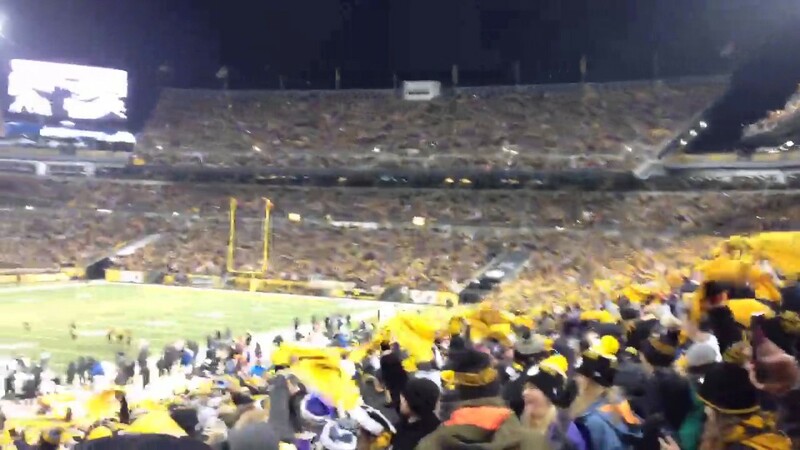 The only black and yellow you saw was some knit Steelers hats scattered throughout the crowd. Now you’ll look like an idiot if you’re not covered in black and yellow from head to toe. “Whoa! No black and yellow shoes? Someone isn’t a real fan.” So you’ll need to budget a few hundred extra just for your outfit. And don’t forget $10 for a Terrible Towel. At least that money goes to charity. The Steelers don’t have cheerleaders. This might be one of the best things about being a Steelers fan. The Stillers are about FOOTBAH and that’s it. The Steelers do have a dumb mascot. Well, so much for all that goodwill from the cheerleader thing. Steely McBeam signs autographs for fans. The Steelers have six Super Bowl championships, the most in NFL history. This is the most important thing to know about the Steelers and being a Steelers fan: Pittsburgh has more Super Bowl championships than any other franchise. Six. This means Pittsburgh is better than every other city and, therefore, it means that you are better than everyone who is not from Pittsburgh. That’s basic logic. See? Easy and casual. Now you are a real Steelers fan.